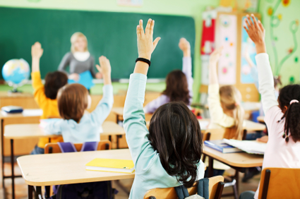 Cowleys has the experience to handle the unique issues of pest infestations in educational settings. We are proud of our reputation of pest control management in educational institutions at all grade levels from nursery and preschools to colleges and universities and all schools in between -- public, private, or charter. We have been at the forefront of the pest control industry in New Jersey to develop standards and protocols that meet the stringent requirements of the New Jersey Integrated Pest Management Act and the Subchapter 13 Regulations promulgated by the NJDEP. When it comes to schools, our goals at Cowleys have always dovetailed with these statutory requirements: to provide safe and effective pest management through developing effective IPM policies that protect our children by minimizing the use of pesticides in and around schools. Cowleys has long-standing relationships with a number of school IPM Coordinators and we have helped schools develop IPM plans as required by the NJDEP. The health and safety of the students, teachers, and staff is paramount. At Cowleys, we conduct all of our work with that overriding objective in mind. Cowleys is careful to time any chemical applications pursuant to state regulations – and we use chemical applications only as a last resort. We are able to minimize the use of pesticides through our experience in implementing effective IPM policies especially in areas conducive to infestations such as the cafeteria/ food service areas. Cowleys always prioritizes its pest control management with traps and low impact pesticides. For those rare occasions where non-low impact pesticides are necessary to resolve difficult, emergency situations, Cowleys works with the school’s IPM Coordinator to ensure that all of the statutory notification and signage requirements are satisfied.